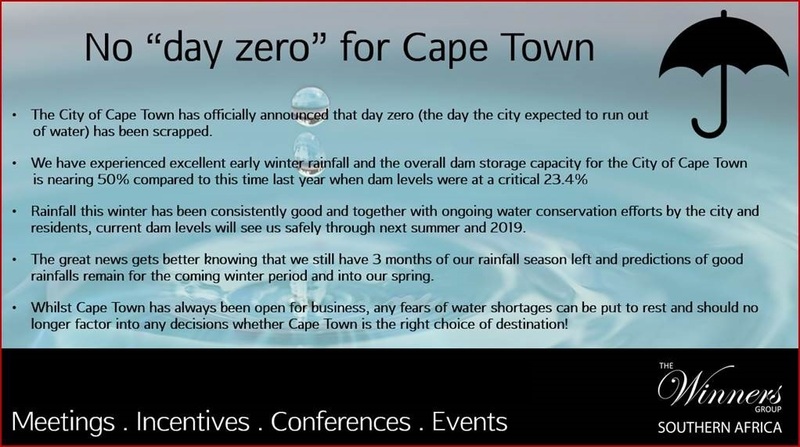 The City of Cape Town has officially announced that day zero (the day the city expected to run out of water) will not come! Cape Town has experienced an excellent early winter rainfall and the overall dam storage capacity for the City of Cape Town is nearing 50% compared to this time last year when dam levels were at a critical 23.4%. Rainfall this winter has been consistently good and together with ongoing water conservation efforts by the city and residents, current dam levels will see the city safely through Summer 2018 and through 2019. Cape Town still has three months of their typical rainfall season left and predictions of good rainfalls remain for the coming winter period and into their spring. 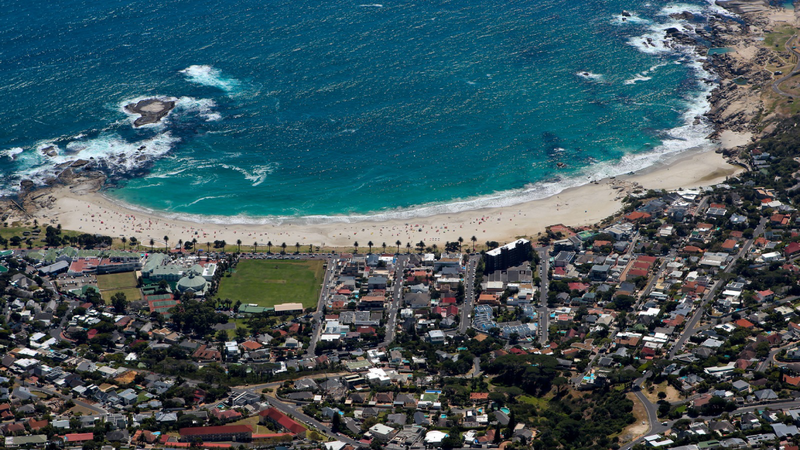 While Cape Town has always been open for business, any fears of water shortages can now officially be put to rest!